Do you SEE that? THE SUN IS FINALLY OUT... Spring time is here! As the weather heats up, we're fitinh up those grills and enjoying the start to another great season. And what's the start to a great season without exciting news to share? A Day to be Celebrated! Being a mother is such a special role in this life and we were so happy that we got to celebrate the mothers in our community with our first ever Women’s Group Mother Day Luncheon. 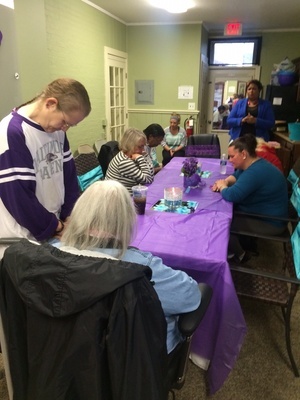 This special event took place Wednesday May 11th – as the amazing ladies we work with enjoyed delicious food, poetry readings, lessons in the 5 Love Languages, music provided by staff and special gifts! We are so excited that we had the opportunity to celebrate with some of the most wonderful mothers and mother-figures that we know. We’re looking forward to hosting a brunch in Cecil County in June! WIN Team is always looking for enriching opportunities to expand the worldview of the youth and adults we work with. 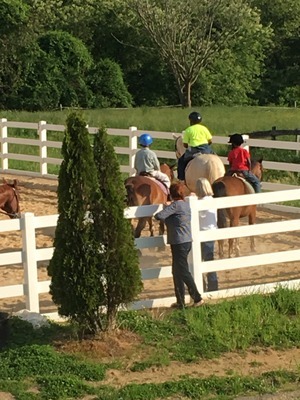 On May 19th, a few of our young clients from Cecil County got the chance to ride one of the world’s most beautiful creatures – horses! This unique opportunity at Freedom Hills Therapeutic Riding Program at Rolling Hills Ranch offered an exciting experience for 8 budding animal lovers. Horse back riding has proven to be an asset in the healing of individuals who have experienced trauma in their lives, whether it is the close connection with the horse or the freedom in riding such a magnificent animal. We can’t wait for the next time our clients can go for their next ride! Every time one of our youth reaches a milestone, we can’t help but shout for joy! A tremendous congratulations goes to everyone who is graduating from middle school, high school, and college this Spring! In Prince George’s County, we have 7 youth graduating from high school and 1 graduating from middle school. In Baltimore, we have 2 youth graduating from high school and 2 from middle school. We are incredibly proud of you and the work you have put toward your future. Graduating is no easy feat and we are beyond excited to be able to witness such a momentous occasion. The world is yours for the taking and your WIN family will be here with you every step of the way. WIN Family Services is partnering with Hunting Presbyterian Church for Catonsville’s most loved event – the 108th Annual Strawberry Festival! WIN staff, along with dozens of volunteers from the community, will be on-hand to create a fun-filled afternoon for the whole family. Join us for food, fun, and laughs as we turn the Hunting Ridge property into its very own carnival on June 4th from 5pm to 8pm at 4640 Edmondson Ave. Catonsville, MD 21229. Our staff has volunteered to create memorable experiences for families in attendance. We’ll have pony rides, face painting, dessert contests, food, moon bounces, and best of all – STRAWBERRIES! Come and join the Catonsville community for this long standing celebration of fellowship and fruit! This event is free to the public and open to anyone looking to enjoy the start of summer.